A new eBike kit has been created called Bikee that can transform a standard bicycle into an eBike with ease and is capable of providing a maximum speed of 30 mph or 45 Km/h for 35 – 60 miles with 250W, 500W, 750W and 999W power versions available. 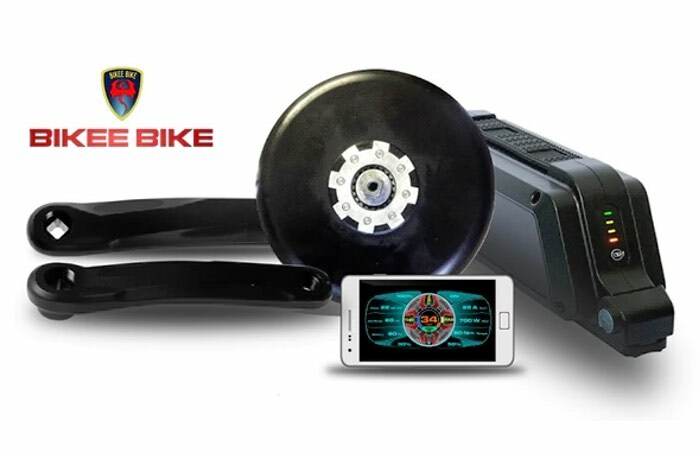 Watch the promotional video below to learn more about this powerful eBike kit which has launched on Kickstarter this week to raise the €50,000 it requires to go into production. If you are looking for a powerful eBike kit then Bikee is definitely worth more investigation. BEST e-bike kit is composed by two main parts: our drive unit ( aka motor ) and the battery. It comes with all the additional items you’ll need to convert your bike, such as two crankarms, torque arm for fixing the Drive Unit to the bike, throttle, battery holder, battery charger, controller. Why settle for less power? BEST comes in four Power versions. Just because people mostly buy 250W ebikes that doesn’t mean you have to. – 999W for US (some States only) legal version. For more information on the new Bike eBike kit jump over to the Kickstarter website for details and to make a pledge from €860 by following the link below.